Do you have areas of excess fat that you just can’t seem to get rid of through diet and exercise? At Carolina Plastic Surgery, Dr. Saira Saini can help you fully achieve your aesthetic goals through multiple cosmetic procedures, including liposuction to tighten and improve your body contours. Skipping dessert and hitting the gym is a great way to tone your figure and lose inches, but sometimes it isn’t enough. The fat that sits on your midsection, dimples your thighs and buttocks, or hangs from your arms, is notoriously difficult to get rid of. Dr. Saira Saini can help you see results when diet and exercise aren’t working. Liposuction is a popular and safe plastic surgery procedure that can reshape your body. You can attain the voluptuous but smooth figure that you’ve always wanted. 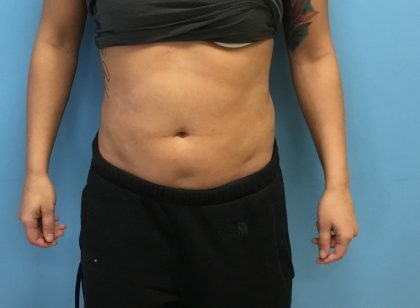 Commonly referred to as “lipo” by many patients, liposuction has long been used in the medical field to eliminate areas of stubborn fat that are often resistant to diet and exercise, creating thinner, more toned body contours. This procedure has advanced to include several techniques for increased patient safety and comfort, and Dr. Saini will choose the method that best suits your body and aesthetic goals. Stubborn fat deposits can leave people feeling discouraged. Hours spent at the gym and controlling your diet can seem like a waste of time if those trouble spots never get smaller. Liposuction can help you sculpt your body. Plastic surgery is a personal decision. If you know what you want your body to look like and you’re not getting those results at the gym, liposuction might be a solution. Adipocytes, or fat cells, are used by your body for fuel and insulation. There are two types of fat cells: white fat and brown fat. White fat the often the type of fat that resides just under the skin and creates the bulging appearance of obesity. It’s developed in your connective tissue when you pack on extra weight. Men’s bodies should be about 15-25% white fat while healthy women should be at 15-30%. White adipocytes can become engorged and swell up to multiples times their size. 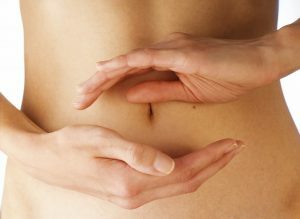 Brown fat surrounds your muscles and internal organs. It helps keep your body warm and energized. The fat’s color comes from iron-rich mitochondria and small blood vessels. The fat rolls rippling across a baby’s body are composed of healthy brown fat that helps keep the baby’s temperature under control. Exposure to the cold, exercise, and melatonin call all cause your brown adipocytes to spike. Brown fat deposits can be stubbornly resistant to dissipating. Liposuction is a popular and effective plastic surgery procedure. Subcutaneous fat cells are suctioned out from the body permanently. The entire procedure is performed on an outpatient basis, meaning you won’t have to stay at the hospital overnight. Liposuction is an ideal option for people interested in body contouring. Liposuction is a personalized procedure. During your initial consultation, Dr. Saini will help you decide on the best surgical plan for your body. Your needs are unique to you. Our office offers multiple types of liposuction procedures that can help achieve your body goals. SAL, or suction assisted liposuction, is a process where the patient’s fat is sucked out of their body using a small hollow tube called a cannula. The cannula is attached to pressurized vacuum equipment, allowing the surgeon to break apart exercise-resistant fat deposits. Small incisions are made in the areas that the patient wants to contour before the cannula is inserted. 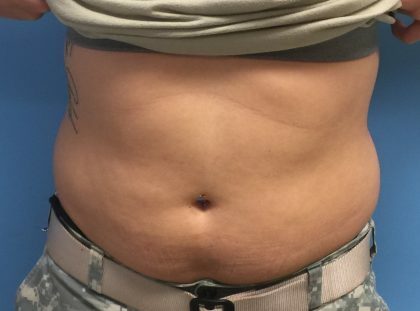 This is the most common liposuction method. Power assisted liposuction (PAL) is used to attack fat cells that can’t be suctioned out withvacuum power alone. Sometimes the cannula has trouble poking through the fat. During a PAL procedure, the cannula is fitted without a powered device that causes it to vibrate. The vibrations help break apart the dense fat for ease of removal. Laser assisted liposuction (LAL) is a sophisticated technique that uses a laser beam to break apart fat cells. This method is popular because it minimizes your recovery and promotes collagen growth which helps tighten your skin. Patients usually bounce back quickly after LAL procedures. Each method has its own advantages. There’s no perfect liposuction method that will suit every body type. Dr. Saini will take into consideration your medical history and your specific desires when deciding which procedure will work best for you. Depending on your individual condition, Dr. Saini may be able to perform liposuction on multiple areas during a single treatment session. These options can be discussed during your consultation at our Fayetteville office. The ideal candidate for liposuction is a man or woman who’s close to their ideal body weight and desires extra sculpting. A lot of people think that liposuction is only for obese patients or people struggling to maintain their weight. In fact, the results will be more striking for patients who have already adopted healthy eating and exercise habits. People with stubborn pockets of fat on their bodies that won’t disappear with diet and exercise alone are great candidates for liposuction. Patients should be reasonably healthy and have no serious health conditions or blood disorders. After the fat is suctioned away, Dr. Saini will need to tighten the skin. Patients with naturally high elasticity in their skin will have an easier time with this process. Your consultation with Dr. Saini will allow you to choose a surgical plan that you’re comfortable with. Your consultation is your opportunity to have all of your questions answered about liposuction. Dr. Saini will happily discuss every step of the process with you and ensure you are 100% confident about your treatment. During your consultation, you will be able to view before and after photos of liposuction patients. It will help give you an idea of what your results might look like. You should understand, however, that liposuction is a very individualistic procedure. Once the doctor performs a physical examination, Dr. Saini will make a recommendation best suited for your body and goals. You will receive an overview of the entire procedure, letting you know what you have to do to prepare for your surgery date and what your recovery will look like. We ask that liposuction patients refrain from smoking, alcohol, sunbathing, and blood-thinning medication for at least 2-3 weeks before their surgery date. We recommend you take steps to prepare your home for your recovery to limit the need for strenuous activity or errands. Pick up your prescriptions in advance and make transportation arrangements for the day of your procedure. The night before surgery you’ll need to bathe with a special antibacterial soap which our clinic will provide. Don’t consume anything to eat or drink after midnight. Liposuction is an outpatient procedure meaning you’ll be able to go home within a few hours of your surgery being complete. During typical liposuction techniques, the treated area is numbed with a local anesthetic for patient comfort, and a small point of entry is made in the skin. Then a thin, hollow tube called a cannula is gently inserted into the skin and moved back and forth in the area to loosen the fat, where it is extracted through medical-grade vacuum suction. While weight loss shrinks existing fat cells, liposuction completely removes excess fat from the body, creating slimmer contours that can be fully experienced after the initial healing process. When the surgery is over, you’ll need to wear a compression garment to reduce swelling. Liposuctions are often performed alongside other plastic surgery procedures. Patients seeking more extensive body makeovers should discuss their options during their consultation. 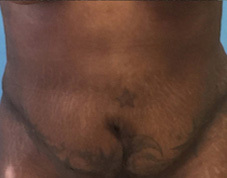 Liposuction combined with complementary procedures can produce stunning results. Tummy tucks are an excellent option for women who have experienced childbirth or have lost a significant amount of weight. A tummy tuck operation excises excess skin and tightens weakened abdominal muscles, giving patients a trim and taut midsection. Being a mother is a wonderful experience, but it can cause drastic physical changes to a woman’s body. Mommy makeovers are perfect for women who want their bodies to return their pre-pregnancy shape. The surgeon performs multiple body contouring procedures to achieve the desired results. Popular options are breast augmentations, breast lifts, liposuctions, and tummy tucks. Depending on the extent of your procedure, a small amount of downtime may be required. Dr. Saini will advise you on when you can safely return to work and normal activities. Some mild swelling, bruising, and discomfort may be experienced during the initial healing process, which can be easily controlled through the post-surgical instructions provided to you by Dr. Saini. Although treated fat is removed permanently, results are best maintained through healthy diet and exercise in order to prevent future fat accumulation. You will need to wear a specialized compression garment until Dr. Saini tells you that it’s safe to take it off. Postoperative liposuction patients rarely need drains, but they are required in some cases. You won’t have to worry about removing any stitches. Your results are permanent but you can gain weight, including in areas where you have had liposuction performed. Following a healthy diet and exercising regularly can help cement your results for the long term. The average cost of a liposuction procedure ranges between $2,000- $7,000. The exact cost will depend on your needs and if you’re having any extra treatments. Please call us (910) 323-1234 to request a consultation.